What is the ‘Deflategate’ controversy? Bill Belichick said the Patriots will cooperate with the league on any investigation into the use of deflated footballs. Coach Bill Belichick isn’t calling it anything. Twitter is calling it #DeflateGate. It all centers around the NFL’s investigation into the Patriots using deflated footballs during Sunday’s AFC Championship game against the Colts in Foxborough. The Globe’s Ben Volin confirmed early Wednesday that the Patriots used underinflated footballs. ESPN reported the exact number to be 11, each of which were said to be filled 2 pounds fewer than the required range of 12½ to 13½ pounds of air per square inch. The NFL requires each team to give officials 12 footballs to use in a rotation in a game. When inclement weather becomes a factor, like it was Sunday against the Colts, the home team must provide 24 footballs. The officials then begin a quality check of each football about two hours before kickoff — weighing each one, keeping an eye out for irregularities in shape, and gauging air pressure. Each one must be inflated between a minimum of 12 ½ and a maximum of 13 ½ pounds per square inch. When a football passes inspection, it is marked by the officials for game use. That distinguishes it from any footballs a player could toss or kick around on the sidelines that have not been marked for game use. Each team hires attendants to track the game-approved footballs, which are supposed to be tested at points throughout the game to ensure they still meet the league’s requirements. On a first-and-10 from the Indianapolis 26-yard line, Tom Brady forced a pass down the seam to Rob Gronkowski in double coverage at about the 5-yard line. Colts linebacker D’Qwell Jackson picked off the pass, and returned it to the 7-yard line before Andrew Luck and the offense took over. Jackson went to the sideline and told Indianapolis’s equipment manager that the ball seemed underinflated, Channel 5’s Mike Lynch reported Monday. That intel made its way to the ear of general manager Ryan Grigson. Grigson then informed the league’s director of field operations, who spoke to officials at halftime. Why does ball pressure matter? Each team’s offense uses the footballs their club provides. Some players prefer the ball on the softer side, the minimum pounds per square inch, while some prefer it on the maximum end of the scale. An underinflated football could make it easier for a quarterback to grip the ball in bad weather, with more give than a ball filled to the maximum pounds per square inch, giving an assumed advantage to that team’s offense. An overinflated football could be more likely to bounce off a receiver’s hands and be more difficult to handle in less-than-ideal conditions. The NFL’s vice president of officiating, Dean Blandino, said Monday it is “not unheard of” for a questionable football to be taken out of the game rotation and later inspected. How could the footballs lose air pressure? 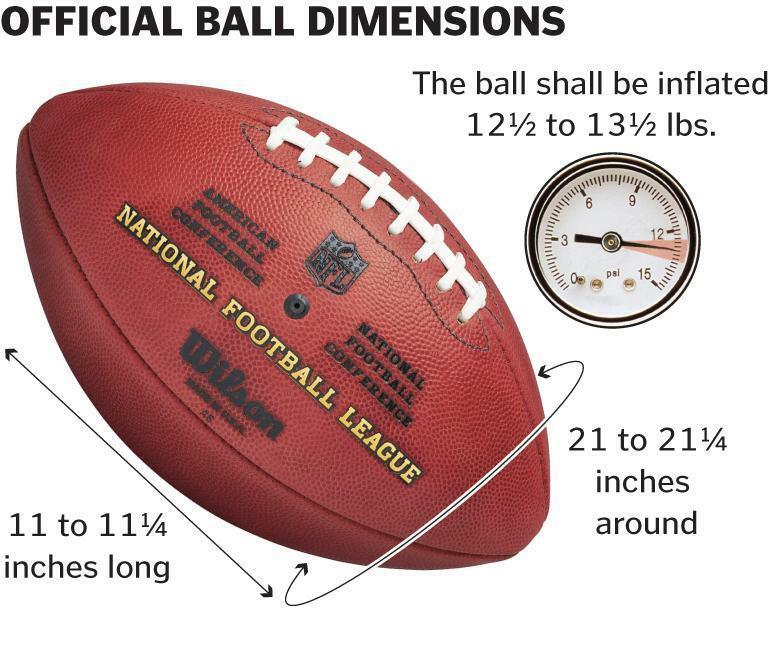 Since it has been confirmed that the Patriots used underinflated footballs, theories have been flying about what could have caused a 2-pound per square inch drop in air pressure. Some have speculated cold temperatures could have caused a drop in the air pressure, like with car tires in the winter, though it was 51 degrees at kickoff, unusually balmy for a January Sunday in Massachusetts. Others have speculated pressure dropped during warmups. And there is the theory the Patriots intentionally deflated the footballs to make them easier to handle, though that is not confirmed. 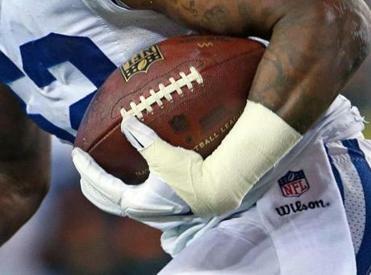 Offenders, and, if necessary, head coaches or other team or front office personnel, could be hit with a $25,000 fine if it is found the footballs have been tampered with. Bob Kravitz of WTHR in Indianapolis also reported the NFL could revoke draft picks from New England. This is not the first time controversy has swirled around the Patriots for pushing the envelope. It is their second “Gate” since 2007, when the league disciplined the team and Belichick for videotaping the defensive signals of the Jets during a Sept. 9 game. 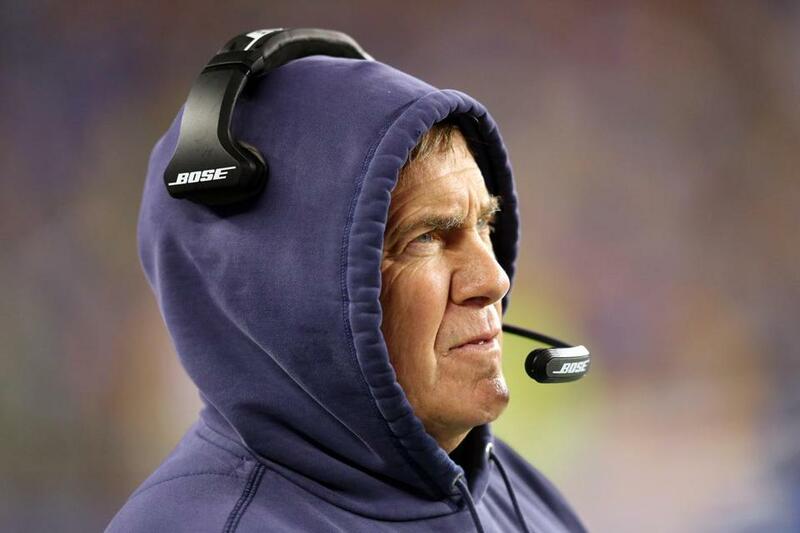 Belichick paid a $500,000 fine. The team was forced to pay a $250,000 fine, and was docked a draft pick in 2008. The memory of the incident has followed the Patriots ever since. ‘Leave Tom Brady alone,’ Donald Trump says in R.I. The Globe’s Shalise Manza Young and Ben Volin contributed to this report.